In the America Invents Act, Congress shifted challenges to the validity of patents from the Federal courts to the Patent Trial and Appeal Board (PTAB), an arm of the U.S. Patent and Trademark Office. The PTAB applies different rules and standards than the Federal courts, rules and standards that favor the patent infringer and not the patent owner. Because the PTAB has been enthusiastically killing issued patents ever since. Then- Chief Judge Rader of the Federal Circuit Court once described the PTAB as ‘death squads killing property rights‘ due to the high rate at which the PTAB invalidates patents. Which brings us to Allergan. Allergan is a pharmaceutical company that holds valuable patents that it did not want murdered by the PTAB. Allergan had an idea – insulate its patents by transferring ownership to an entity that is immune from Federal power – a native American tribe. Allergan transferred the title to the patents to the St. Regis Mohawk Tribe. The Tribe did not buy the patents; instead, Allergan paid money to the Tribe to accept title. Allergan retained effectively all rights to the patents, so the transfer was one of name only. Allergan then hunkered down behind the rather flimsy ramparts of tribal immunity. Mylan and Teva are generic pharmaceutical companies that want to copy Allergans patented products, but that do not want to pay Allergan for the privilege. They challenged the Allergan patents before the PTAB. Allergan, through the St. Regis Mohawk Tribe, defended by arguing that the Tribe was immune from the power of the PTAB. 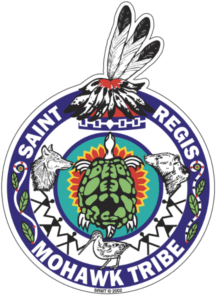 Predictably, the PTAB concluded that the transfer of title was not effective to protect the patents of the St. Regis Mohawk Tribe. The PTAB concluded, correctly we believe, that the transfer of ownership to the St. Regis Mohawk Tribe was not real and that the PTAB retained power over the patents because Allergan retained all of the rights of ownership. We expect that this matter is not over. Allergan’s tactics would be humorous if they were not so sad. What is important about this story is that Allergan, a creator of new, innovative and valuable products, is reduced to desperate measures to try to protect its patents from the very agency that issued the patents – the United States Patent and Trademark Office.